A Melbourne garden in the depths of winter can be a little uninspiring; bare trees, damp underfoot, and not a flower to be seen (not to mention the ever-changing weather) can all add up to a rather depressing visual when you look out the window in the morning and make you wish you were somewhere a little sunnier. Happily, it is possible to establish a vacation vibe in your own backyard by taking inspiration from the landscaping traditions of holiday destinations such as Bali, Thailand, Fiji and the Maldives and adapting them to the Melbourne climate. In this article, we discuss how to bring the tropics to Melbourne. In terms of layout, a tropical garden doesn’t vary much from other garden designs, the difference lies in the planting technique. 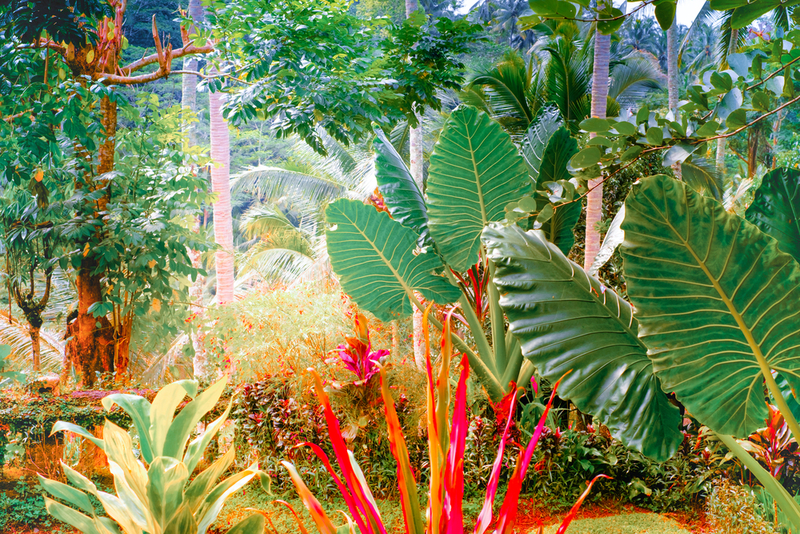 Tropical gardens are characterised by a dense wall of luscious, oversized foliage punctuated with colourful flowers. There are no ‘transitions’ between the layers of plants in a tropical garden, so it looks like the plants are all jostling for space, and like they have grown naturally like in a jungle. The backdrop also plays a key role in the tropical garden, as ideally fences and walls should be concealed to give the illusion that the garden extends further back. Of course, concealing your wall with plants is not always immediately possible when establishing a tropical garden. Whilst you wait for your plants to establish themselves, you could consider investing in some inexpensive bamboo or reed screens, plant a fast-growing vine on a trellis, or invest in something a little more ornamental like stylised aged metal panels. Other key landscaping features often included in tropical garden landscaping are Balinese style huts, outdoor loungerooms and ponds. If you have a pool or spa area, using exposed aggregate as paving achieves a subtle, natural effect and is more cost effective than stones or pavers. Tropical plants tend to grow close together and in layers, protecting one another from the weather and providing nutrients in the form of leaf litter (like a rainforest). Achieving this in Melbourne takes planning, but it isn’t impossible. 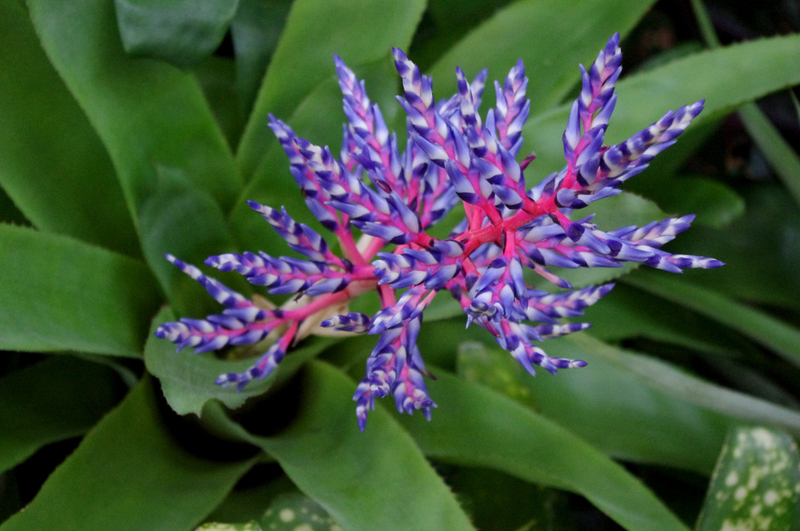 The ideal soil for tropical plants is nutrient rich and well-draining. To shelter your plants, the first thing you need to do is create a shelter to protect your plants from the city’s chilly winds and encourage humidity. This can be achieved by planting a wall of hardier, wind tolerant plants or by putting up a physical structure. Another way you can protect your plants from the elements is by using green shade cloth. As your plants grow, work to cultivate a canopy of hardier plants that can protect more vulnerable species underneath. Finally, planting near a stone or brick wall which retains heat will help cultivate humidity. Once it’s time to put your plants in the ground, aim to create a dense, green wall of glossy green foliage that is occasionally punctuated with flowering plants or patterned leaves. Planting with density in mind ensures the plants are close enough together to create their microclimate, and it’s simple to remove a few specimens later on if your garden begins to look overgrown. Once the plants are in the ground, they need to be protected with a thick, moisture retaining mulch. Once you’ve done all of your planting, it’s time to add a few finishing touches. Outdoor entertaining often takes centre stage in tropical landscapes as users seek to make the most of their atmospheric surrounds and the warm climate. As a result, the concept of the ‘outdoor living room’ which incorporates cane or reed lounges decorated with colourful textiles is a common feature in these types of gardens. 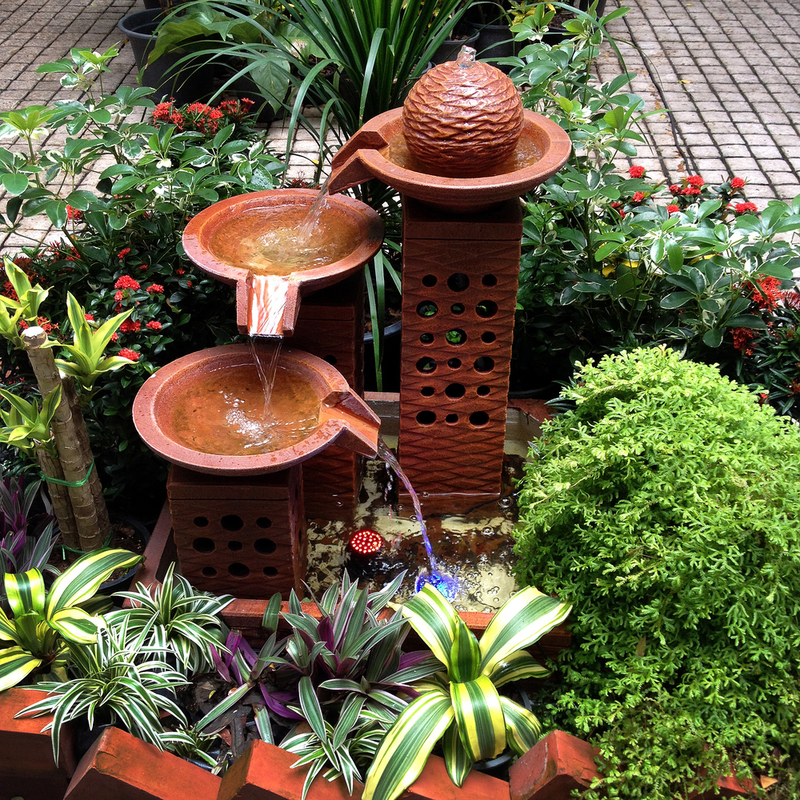 Water features or small ponds are another common sight, and these have the added benefit of promoting humidity and providing an opportunity to plant flowering aquatic plant varieties like water lilies and lotus flowers. Finally, the addition of traditional Southeast Asian and Balinese carvings can help make your tropical garden feel like a holiday escape.